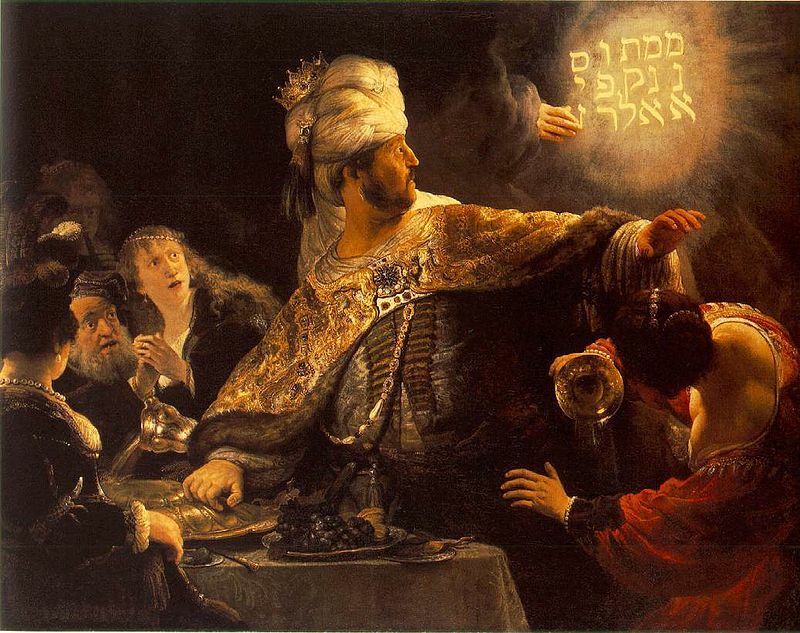 Daniel 5, when the fate of King Belshazzar’s kingdom is foretold by literal writing on the wall and the woman sitting to his right is horrified by his choice in headwear. According to one of the band members the video is “all about illusions and perspectives.” This is the beauty of the video: tidbits of ideas and mind-boggling illustrations all merge together in the end to form one, coherent message. Inasmuch, whether they intended to or not OK Go presented Christians with a beautiful illustration of the witness of the postmodern Christian, of carrying the Biblical message to a world that is apathetic or in direct opposition against it. The Church has been gifted with the message of Scripture, saved in grace and commissioned to spread this salvation to the ends of the earth. And American Christians of the last century have come up with numerous tactics for doing this: tent-meetings, Evangelical tracts, televangelism, etc…etc. Most of them have worked in the past but today we face growing evidence (such as common sense) that they are no longer effective. In turning the corners of time and entering the postmodern age, the Church found that previous tactics of presenting Biblical truths are now outdated and blunt, if not downright obtrusive. Culture rejects them outright. Thus, the Church of the upcoming decade has to find unique ways, not of hiding Scripture, but rather revealing the reality of it that pervades our culture and world. Oh, but it can. And what makes this point better that culture itself? OK Go shows us, with brilliant artistic flair, that the truth can be all around us and yet not fully articulated. In the final scenes of the music video, the camera settles and the viewer sees the message of the video clearly illustrated on, you guessed it, the wall. Now, if OK Go had decided to craft a music video featuring the band performing on a platform with a banner across the back stating “The Writing’s On The Wall” I would have turned it off faster than a Hillary Clinton interview. The message is the same but the mode in which it is delivered makes all the difference. This makes me hate myself. The premise of this subculture was created in an attempt not only to preserve our identity as Christians but also to be a blatant witness and testimony to Christ. The problem with this strategy is that it not only lacks creativity but marks our message with our medium, and it should be the other way around. Anyone who has ever cited a Bible passage on a Huffington Post comment thread can attest to this. We have found that from outside the culture we are not able to bring the Biblical message in but are rather stuck shoving the Bible down the throats of people who don’t want to hear it, like an oversized package into the mail slot. The postmodern Christian must look on a statement such as this with a heavy heart. For we know that Theife’s rejection of biblical truth stems from the erroneous way in which it has been presented (as enumerated in his essay titled “Christians Are Hypocrites”). It is not the Bible that has lost relevancy but the mode in which we insist on presenting it. Thus Scripture is increasingly rejected as authoritative. Regardless, Christians all know that just because culture rejects Scripture as authoritative does not mean it is not authoritative. A cow does not become not a cow because 97% of the people say that’s not the case. But rather than present the same pertinent argument in old and outdated ways, we must learn to adapt and show the truth in new ways. Videos such as this one ought to motivate us to embrace the truth that exists all around us; God’s word is living and breathing after all. This ought to inspire us to bring people into the story of Christ’s redemption, the story that is played out in our homes, our communities, our daily lives. It ought to propel us to notice the intentionality and beauty of general revelation, God’s grace showing himself in all places and cultures in ways we couldn’t have imagined. It ought to inspire humility, passion: wonder and excitement. Likewise, the Christian witness must occur in a manner that draws the listener in, entices them, and shows them how they are part of the story. Finally, after much dedication and intricate involvement, we don’t even have to show them the truth. Why? Because it’s right there, it has been the entire time. Can’t you see it? The writing’s on the wall. 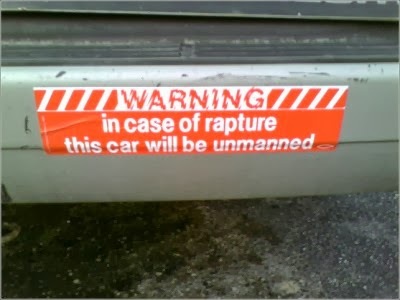 This is the calling of the post-modern Christian. We ought not abandon Scripture but we must examine it with thorough intention and then present it from a new angle. This approach presents us with creative and challenging alternatives to the outdated tactics that clearly aren’t working. With wisdom, humility, and a dash of creativity, we must immerse ourselves with the task of continuing to carry Christ’s message to a world tired of hearing the same tune. Include a link to an online gospel tract (e.g. http://www.freecartoontract.com/animation) as part of your email signature. An email signature is a piece of customizable HTML or text that most email applications will allow you to add to all your outgoing emails. For example, it commonly contains name and contact details – but it could also (of course) contain a link to a gospel tract. For example, it might say something like, “p.s. you might like this gospel cartoon …” or “p.s. have you seen this?”. Enter your email address to follow AMR and receive notifications of new posts by email.